Cynthia Brown Fish married Asa Houghton, son of Asa Houghton and P. Griffith, in Jul 3, 1889 at Sand Lake, Montcalm Co., MI, USA, age 80 and 57. Asa Houghton married P. Griffith per 2nd marriage certificate of son Asa. P. Griffith married Asa Houghton per 2nd marriage certificate of son Asa. Jacob Paul Hershey married Ashley Rene Houghton, daughter of Hayward Sanderson Houghton III and Denise Karen Adams, in Aug 28, 2005 at San Diego, San Diego Co., CA, USA. Dustin Davenport married Mallory Karen Houghton, daughter of Hayward Sanderson Houghton III and Denise Karen Adams, in Sep 18, 2010 at Alfred, NY, USA. Louisa (?) 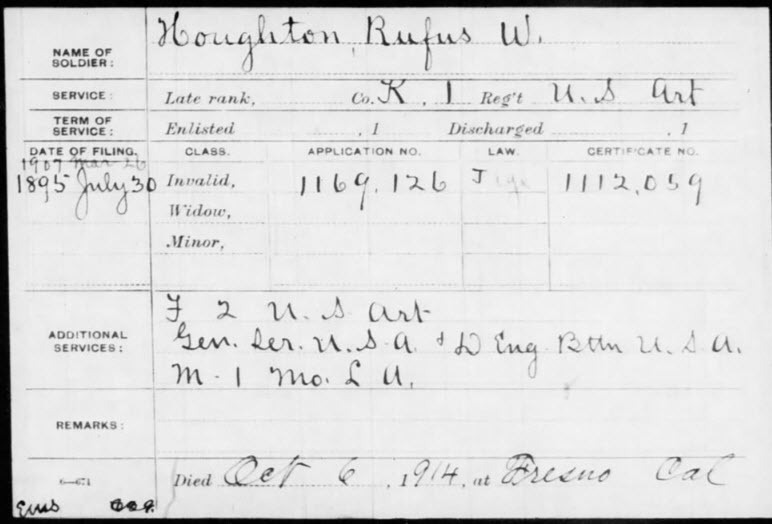 married Willis Haughton. Zelpha (?) married Coy Haughton. Minerva Houghton married Nathaniel Herriman. Nathaniel Herriman married Minerva Houghton, daughter of (?) Houghton. Theresa Linz married Lloyd E. Houghton, son of George Kimbrell Houghton and Effie Olive Langley, in Aug 15, 1949 at Davenport, IA, USA. Adolph Lange married Lillian Alma Houghton, daughter of Lloyd E. Houghton and Alma Augusta Wischnak, in Mar 19, 1941 at St. Paul's Lutheran Church-Loon Lake, Vergas, MN, USA.